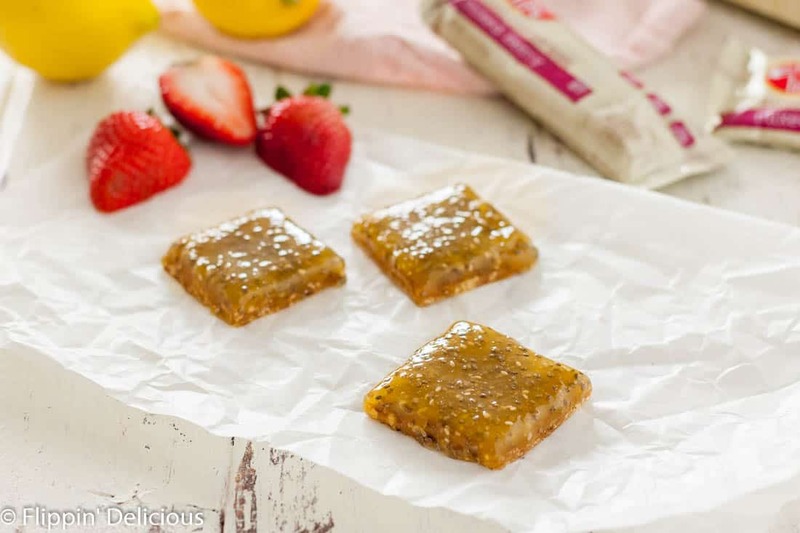 These no bake vegan gluten free lemon bars are a change of pace from the traditional. A chewy mixed berry flavored crust topped with a bright lemon curd with chia seeds make a fun no bake treat perfect for a warm day! This post is sponsored by Enjoy Life Foods. As always, all opinions are mine alone. Thank you for helping me in supporting Flippin’ Delicious™ and the companies that support it. Lemon Bars have always been one of my favorite treats. I just love the way that the tart citrus curd melts over my tongue when I take my first bite. Fresh and bright, sour and sweet, all at the same time! While I am still a big fan of the traditional buttery shortbread lemon bar crust, I wanted to try something just a little different for these no bake vegan gluten free lemon bars. I used Enjoy Life Foods Mixed Berry Chewy Bars to make a sweet and chewy crust! I softened the Mixed Berry Bars in my microwave and then pressed them into my pan (lined with parchment paper for easy removal.) Then I topped them with an easy homemade dairy free egg free lemon curd thickened up with a little tapioca or corn starch and chia seeds. The result is an entirely different style of lemon bar! A sweet and chewy berry-flavored crust with a tart and smooth lemon curd on top. I used honey to make my lemon curd, but if you don’t use honey you could easily substitute maple syrup. I know honey isn’t technically vegan, but it gives the curd a very nice creamy and smooth texture. BONUS! 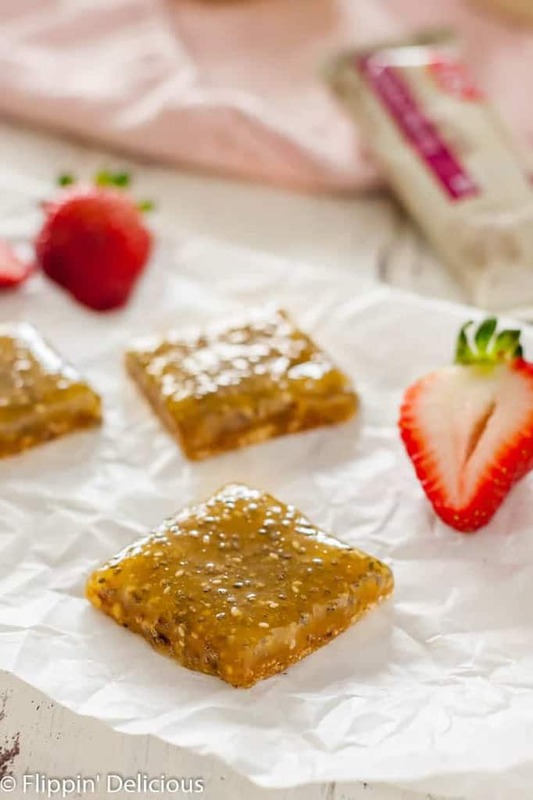 These bars are no bake, making them the perfect summer treat as the temperatures start to rise. 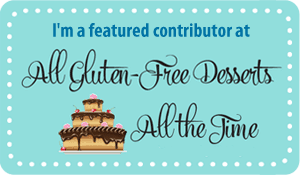 This month is Celiac Disease Awareness Month and this week is Allergy Awareness Week. There is no better time for me to tell you a little more about Enjoy Life Foods! I have grown to love Enjoy Life Foods products more and more. The more I eat them and the more products I try the more in-love I am! All of Enjoy Life Foods are TOP 8 FREE and made in a dedicated top 8 free facility. That means all of their products are gluten free, dairy free, egg free, nut free, peanut free, and soy free. That also means that I can serve Enjoy Life Foods products to my entire extended family with confidence! My dad has a tree nut allergy, my 17-year-old sister has an anaphylactic peanut allergy, and then 4 family members (my hubby and toddler + my mom and niece) can’t have dairy. 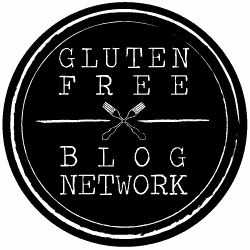 When it comes to gluten I have a long family history of celiac disease and both of my parents and almost all of my siblings have to eat gluten free. Planning family get-togethers can be tricky when juggling all of our custom eating requirements, but it is a lot easier with Enjoy Life Foods. They have a complete line of products with sweet and savory baking supplies and snacks. Their chocolate morsels and chunks have been a pantry staple since my family went dairy free the first part of this year! My hubby’s favorite are their Plentils! 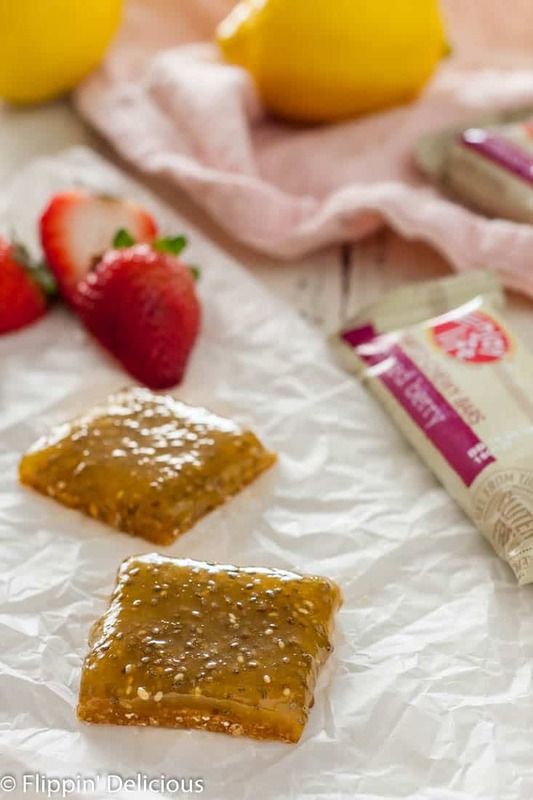 The thing that was hardest for him to let go of when going dairy free was his cheesy snack crackers, but Plentils satisfy his cravings without any dairy. The garlic & parmesan Plentils are his favorite! 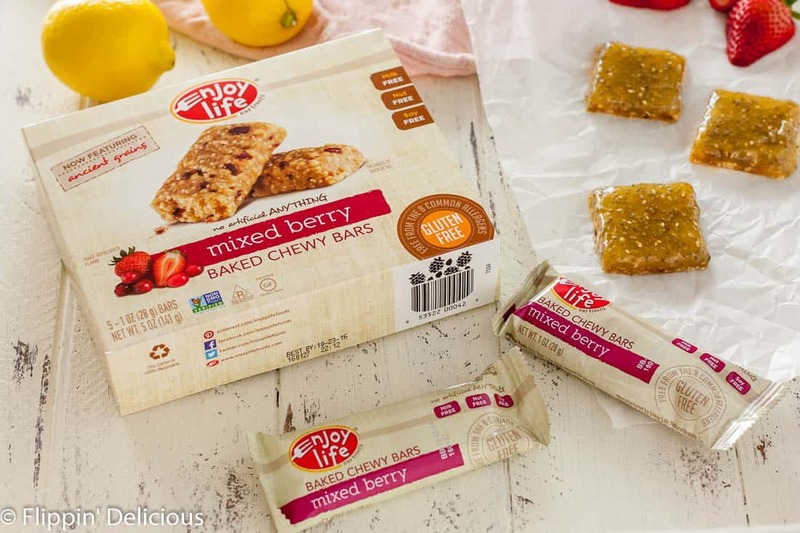 Enjoy Life Food’s Chewy Bars are a new favorite of mine. 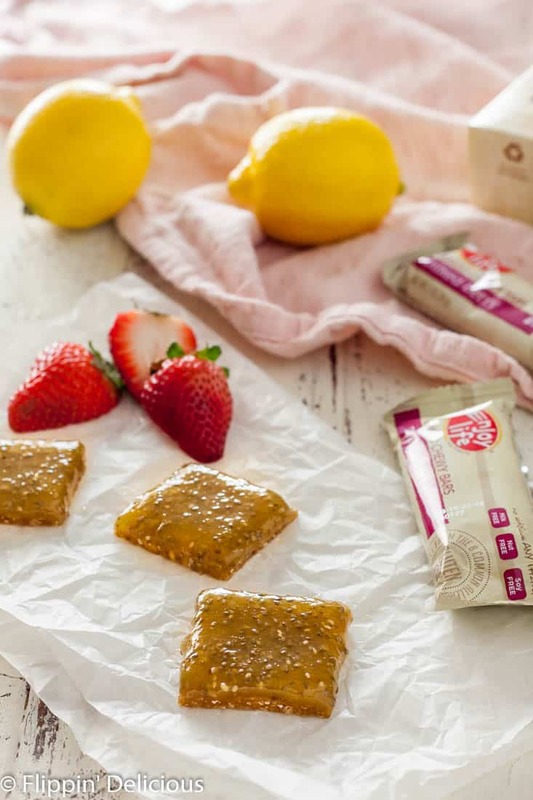 They are perfect for a grab-n-go snack OR for the crust for these no bake vegan gluten free lemon bars. I have Coco Loco Chewy Bars on my shopping list so that I can make the gluten free salted caramel cookie cups that my friend Chrystal made a few weeks ago! Line an 8x8 pan with parchment or wax paper. Unwrap each Enjoy Life Foods Mixed Berry Chewy Bar and soften in the microwave for 15 seconds. Press into the lined pan to form an even layer. I used a glass pan so that I could heat the entire crust in the microwave if things firmed up too quickly. I also used my hand-held roller from pampered chef to press the bars into the crust. Whisk the lemon juice, zest, dairy-free milk, honey, and cornstarch in a saucepan until smooth. Cook and Remove from heat, stir in the chia seeds, and then pour over the crust. Cool before slicing! I stored mine in the fridge to help the curd stay firm and slice-able. Ah, a pleasant surprise seeing a vegan recipe from you 😉 Approved! Thanks Raia! I agree, lemon curd is always a win. This is so creative! I LOVE, love, L O V E lemon bars. This is such a fun no-bake version. YAY! DAIRY-FREE LEMON CURD! You just made my day! Such a clever way to make a no-bake crust! Thank you Sylvie! It is so easy and I love how chewy it is. I love lemon bars, this no bake version is something I am going to have to try! Thanks Amanda! I hope you love them. Thanks Bethany! I am loving citrus right now too.